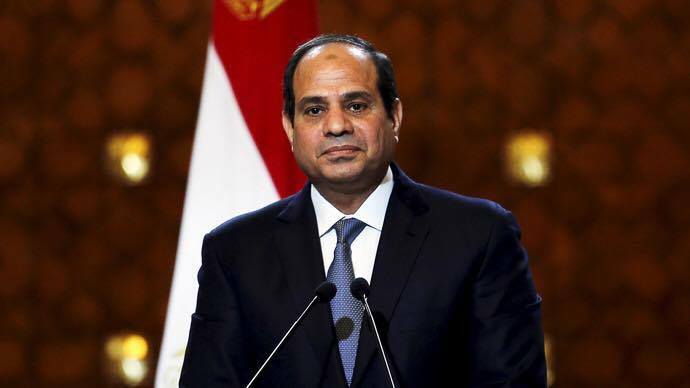 Egypt’s President Abdel Fattah Al-Sisi has declared a state of emergency in Egypt for three months. Al-Sisi also announced establishing a new council for combatting terrorism and extremism. The Egyptian president’s speech was delivered after he concluded a meeting with the National Defence Council. The meeting was held as a result of the twin attack that took place early on Palm Sunday in Egypt. The first bomb detonated in Tanta at St George’s church, killing at least 27 and injuring more than 70. A second bomb detonated shortly after the first one in Alexandria in St Mark’s church, leaving at least 18 killed and dozens injured. The Islamic State (IS) has claimed its responsibility for the attack. Egypt's Grand Mufti visited Pope Francis in Rome last November during which he praised the Pope's message of peace and love. Pope Francis is due in turn to visit Egypt. Clearly this has infuriated ISIS and the group has been targeting Christians in Sinai, a soft target for them.